Ex Hot Girl: Progress Photos! 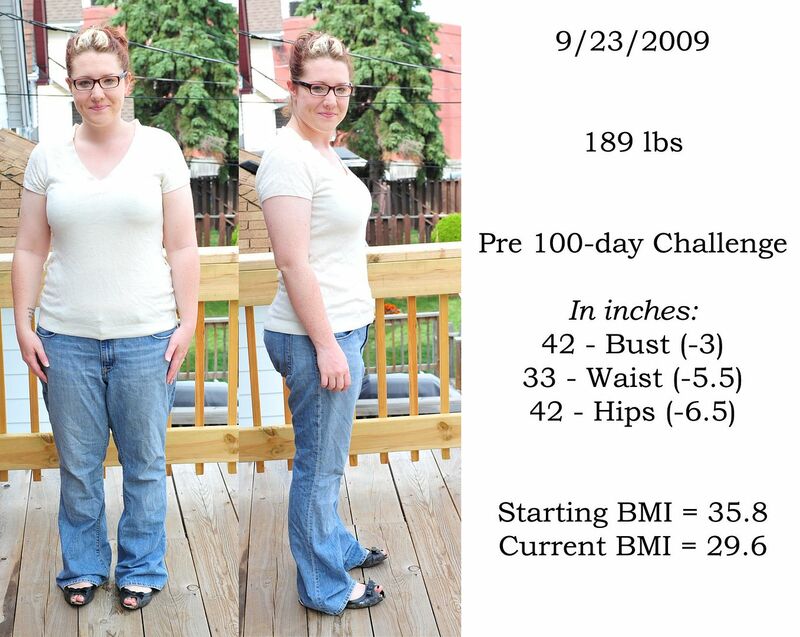 So, I thought as I've hit my 35 pounds lost mark, and am embarking on a new challenge (100 days!) that I should update everyone on some progress photos. And here is me today! 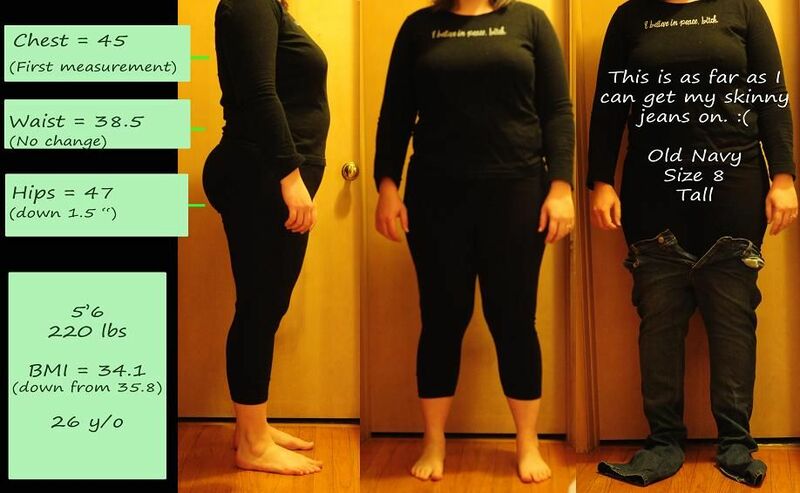 Awesome progress, it's so obvious! Way to go girl you look great. gratz on the weightloss and the Inches too. Can't wait to see the next set of progress pics! You look great!!! Inspirational stuff. I think somebody else said it a while ago, but truly, the "ex" in your blogs title...yea, not so accurate. All I can say is WOW! You are looking great! WOW, Jenn!!! You are smokin' hot!! Great job! You looks so great babe! Keep up the great work! I spy skinny stomach! Your middle is GONE! And your tush is smaller...and your face...you're just smaller all over! 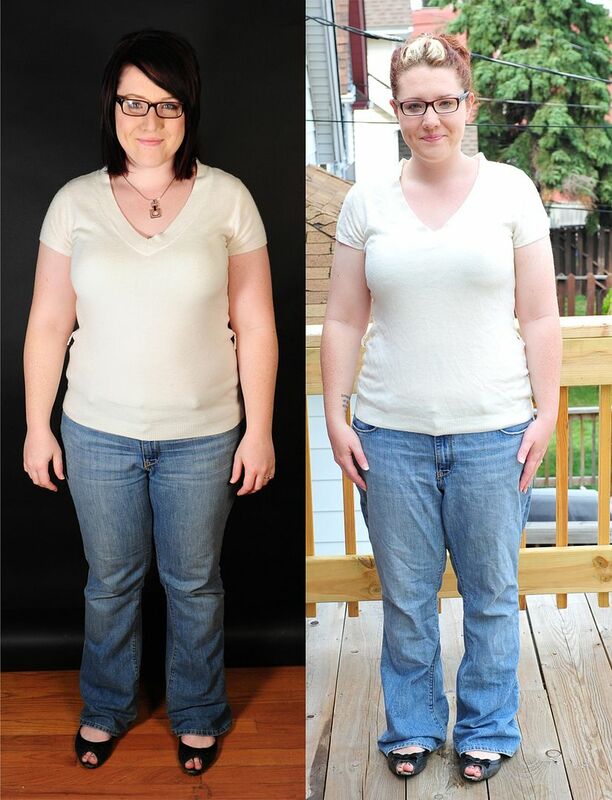 Love them progress pics, lookin great Jen! Yahooo. You've got to feel great about that. Like you always tell me, Jenny, just keep a healthy balance in your food consumption and the life-style will be something you'll be able to maintain in the end. Congrats on the Blog of Note! And you look great! I embarked on my own weight loss mission, but recently lost steam... perhaps your blog will help me stay focused! That and doing the Daily Plate again. This is great! You look amazing! Enjoy this great moment as much as you can do it. Hey... you don't know me, but I'm going through the same thing you are. I gained I don't even know how much weight after being in a horrible accident that left me in a wheel chair for 9 months and then promptly getting pregnant when I got out of it. I finally decided to do something about it. I bought a book called "Skinny Chicks Don't Eat Salad." I am in love! I've lost 21 pounds in the past 5.5 weeks! I've also upped my physical exercise, which was hard with my injuries, by including a lot of swim time. Swimming is THE best exercise: completely no impact on all of your joints, works EVERY muscle in your body, and has a VERY high calorie burn off rate per minute... (I did the math on a 45 minute swim session the other day... over 400 calories burned!). Anywho, just wanted to give you the name of the book... It really helps. It teaches you how to eat RIGHT and how to balance your meals so that your blood sugar stays level which in turn ups your metabolism.... Good luck!!! Wow! You look terrific!!! You should be so proud. I'm sure you are. I love your body shots and the use of the jeans! I've been contemplating on taking some self-photos and I think I'll do something similar. I just found your blog via Blogs of Note and I just wanted to say that you look fantastic and great job! Just came across it today via Twitter, and I can't wait to catch up on it. wow! those side by sides are impressive. keep it up! my bestest friend in the world is going through her own transformation, and i'll forward your blog to her for inspiration. Just stumbled upon your blog! 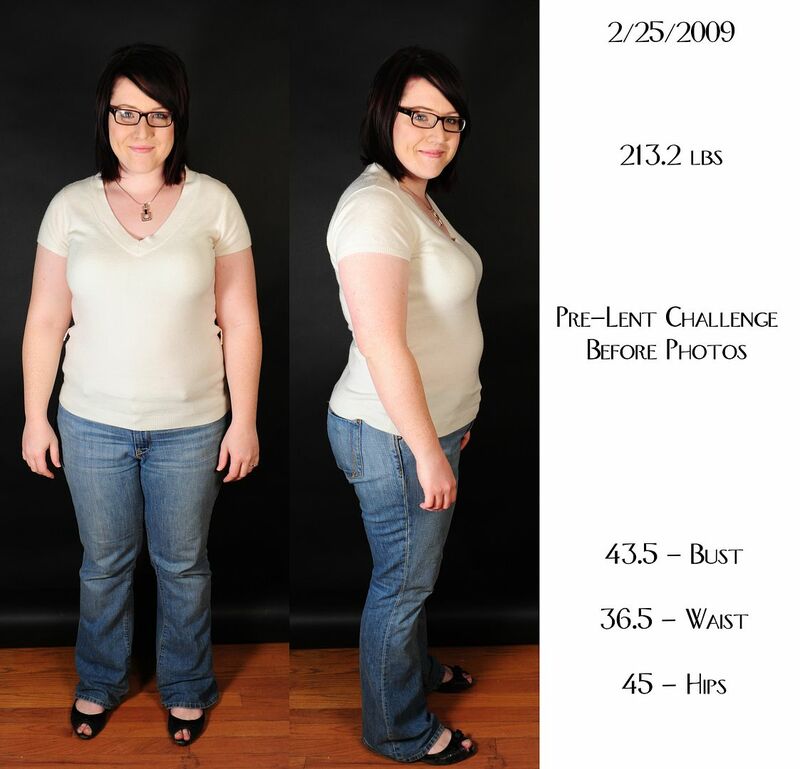 Great job, and congrats on both the weight loss and being blog of note! you look really good. just happened to stubble across your page. I think you look good now. I don't think that you should lose much more weight. Way to go Girl!!! Love your photography also. Got you added as a contace so that I can keep up with your work and your weight loss progress. Cant wait to see more of your work. Even if you never lost another pound, you've already accomplished a lot and you look gorgeous! I think you looked cute before, but even cuter after! Congratulations. I know from previous experiences and current ones too how hard this is! Good for you!! WTG---- I am so happy for you. I hope 2 follow in your footsteps. You look GREAT...and I agree with the previous poster. The "ex" in your blog title is completely off base. You're gorgeous! I'm on my own weight loss journey, though I'm not sure if I'm brave enough to post pics on my blog. Now, goin' strictly by yer "before 'n after" pics I gotta say this: ya must have THE BEST camera in the whole entire world cuz there's no way in hell ya look like ya EVER weighed anywhere NEAR 213 lbs. in that "before" shot. What did you look like way before all of this? You look great and I believe you will achieve that goal. I personally lost about 15 lbs the first year I joined a gym. My BMI is less, but I don't have any hard numbers. But my pants are baggier, so something's happening! Congratulations more for the weight loss than blog of note. Awesome. I'm another person who saw your blog on 'blog of note'. anyway, awesome job losing weight! ahh inspiration! You look terrific, keep at it. Anyway, found you via Blog of Notes...your way way fabulous and can't wait to see more from ya! 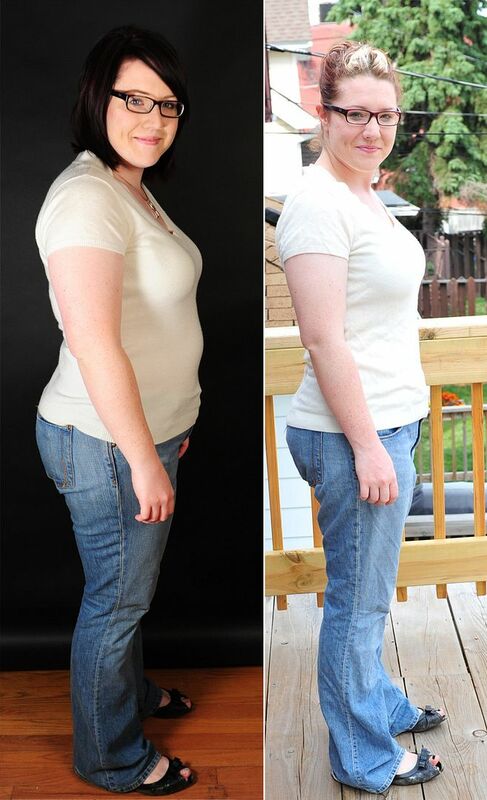 Wow you are making great progess Jennifer, keep up the good work. I love the hair cjange as well. I think I love you. Will you be my BFF?? Please?? Good job, u look amazing :) What diet do u follow etc? I also applaud you for putting up your weight even though it is considered such a "big" number by people who don't understand that not everyone who weighs over 130 pounds looks like the Stay-Puft Marshmallow Man. Thank you! !